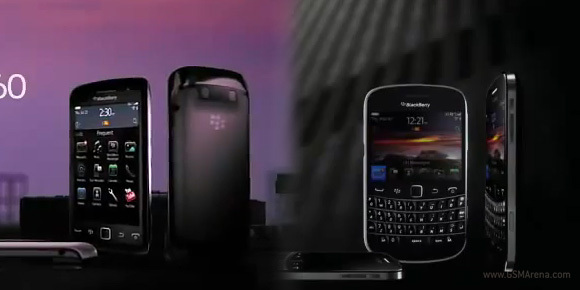 Two 30-second promo clips of the upcoming BlackBerry Bold Torch 9860 and BlackBerry Bold Touch 9900 leaked today. As you'd imagine, the videos show some of the main features of the two phones and reconfirm RIM's intentions of putting them into production sooner rather than later. Both devices' specs were revealed with that leak a couple of days ago. It gave us a pretty decent scope of what we can expect from the Torch 9860 (codenamed Monza) and Touch 9900 (codenamed Dakota). Now grab some pop corn, sit back and enjoy the commercials.